Full-circle urban forestry is alive and well in Elkhart, IN. Since October 2012, the Elkhart Environmental Center (EEC) has partnered with city’s Forestry Division to create the ElkhartWood program. 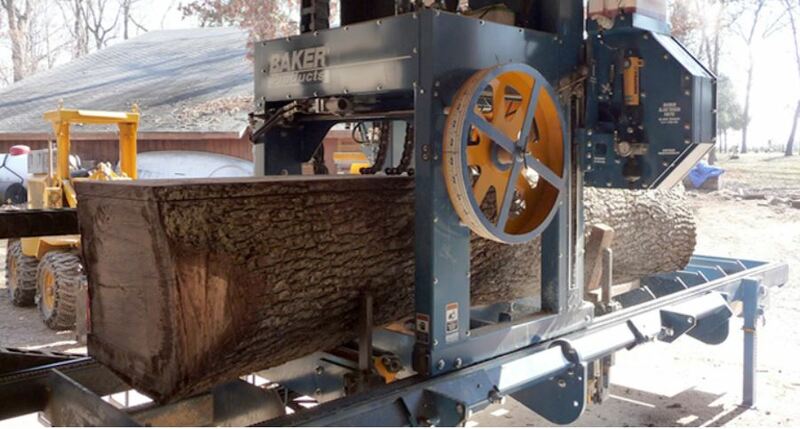 Through this program, high-quality logs from city trees are made accessible to the Elkhart Wood Products Network, which is comprised of sawyers, woodworkers and others in the local wood products industry. Proceeds from the sale of these logs supports community tree plantings. In addition, the ElkhartWood program supports workshops and educational opportunities related to urban forestry and wood products. Learn more about the ElkhartWood Urban Wood Utilization program. “Buy American” has spawned the “Buy Local” movement. The opportunity to support your community by sourcing materials and buying value-added products locally is a key component to what makes the urban wood market tick. For far too long far too many community trees ravaged by invasive insects, felled by storms or removed for development have been chipped or mulched without much thought given to salvaging and utilizing the wood from these trees for lumber and ultimately furniture, cabinets, flooring and other value-added products. The swiftness and widespread devastation wrought by the emerald ash borer has given a growing number of foresters, arborists, custom sawyers and custom woodworkers pause to consider what more can be done with an urban tree after its life has ended. Urban wood utilization movements have taken hold in nearly every state of the union and several Canadian provinces. The Illinois Wood Utilization Team has networked with many independent and government groups, including forming a strong partnership with urban wood groups in Wisconsin, Michigan and Missouri. This partnership includes sharing intelligence, ideas and best practices to develop and promote a stronger urban wood market. The best of the best of this shared learning will be on full display at the Bringing the Urban Forest Full Circle Conference, March 18, 2016 at Hamburger University, Oak Brook, IL. This event is a unique forum for land managers, foresters, arborists, sawyers, woodworkers, architects and designers, retailers, educators and other stakeholders that make up the links of the urban wood supply chain to share, learn and network with like-minded professionals. There is already a small but growing number of companies and individuals committed to the source local, buy local appeal of urban wood utilization. They have seized the opportunity. But there is plenty of room for more entrepreneurs ready to roll up their sleeves and do themselves and their communities a great favor. I can think of no better way to jump start the urban wood marketplace than by attending the Bringing the Urban Forest Full Circle Conference. Make plans and register now to attend the inaugural Bringing the Urban Forest Full Circle Conference, Friday, March 18 at Hamburger University in Oak Brook, IL. The full-day event is being organized by the Illinois Wood Utilization Team. It will include more than a dozen informative presentations, a live portable sawmill demonstration, tabletop displays and plentiful networking opportunities. The Bringing the Urban Forest Full Circle Conference will bring together public and private land managers, arborists, architects and designers, sawyers, woodworkers and other entrepreneurs to share and learn next-step actions to participate in a market-driven urban wood economy. The unique conference will focus on industry best practices for everything from urban tree removal and milling through wood manufacturing and marketing the local appeal of urban wood products. Confirmed presentations include case studies of urban wood initiatives taking place in Chicago; Ann Arbor, MI; and Milwaukee, WI. Representatives of each of these urban centers will detail how urban trees are being diverted from landfills in favor of being converted into lumber and value-added wood products. Prof. Dan Cassens of Purdue University’s Forestry Department, one of the nation’s foremost experts on hardwood lumber, will discuss market opportunities and strategies for promoting urban wood products. Cassens, who also runs a sawmill business, will conduct live portable sawmill demonstrations during the conference. A networking reception featuring tabletop displays by businesses and organizations participating in the urban wood movement will immediately follow the full day of presentations. To learn more about attending the conference or sponsorship and display opportunities, visit illinoisurbanwood.org. Additional information is also available by contacting Rich Christianson, conference director, at 773-822-6750 or richc.illinoisurbanwood@gmail.com. The Illinois Wood Utilization Team is getting a groundswell of support from JULIE 811, the free go-to source for Illinois excavators to contact before breaking ground on a project. 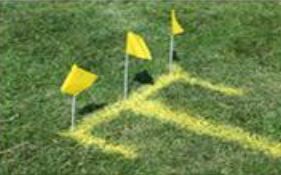 JULIE, short for Joint Utility Locating Information for Excavators, alerts utilities about impending excavations so that underground lines can be marked to prevent damage to pipes and cables. Through a cooperative arrangement, JULIE personnel will distribute information about IL WUT’s Bringing the Urban Forest Full Circle Conference at a series of Excavator Safety Meetings planned throughout the state by the Northern/Central Illinois Pipeline Association. Each of the free-admission meetings will feature a keynote presentation by a JULIE damage prevention manager and a breakfast buffet. See the January schedule of Excavator Safety Meetings n the table below. Click here to register. 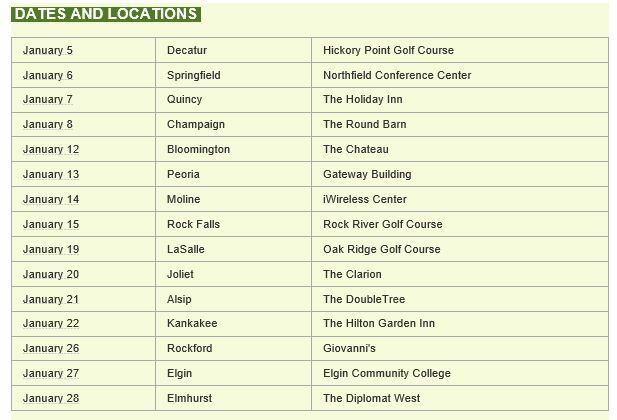 The Illinois Small Custom Sawmill Directory is in the process of being updated. The directory, last published in 2011, features the capabilities and key contact information for 60 sawyers throughout the state, including operations that have stationary sawmills, portable mills, band mills or a combination of the three. 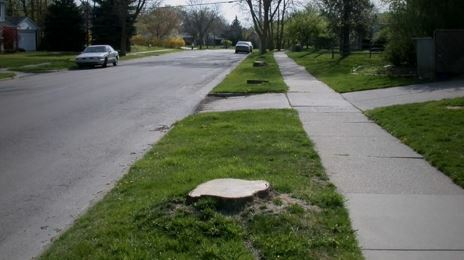 The vast majority of the sawyers listed in the directory process logs from the urban forest, including ash trees felled because of emerald ash borer infestation. The guide also notes value-added services offered by each business, such as kiln drying, planning, turning and millwork. 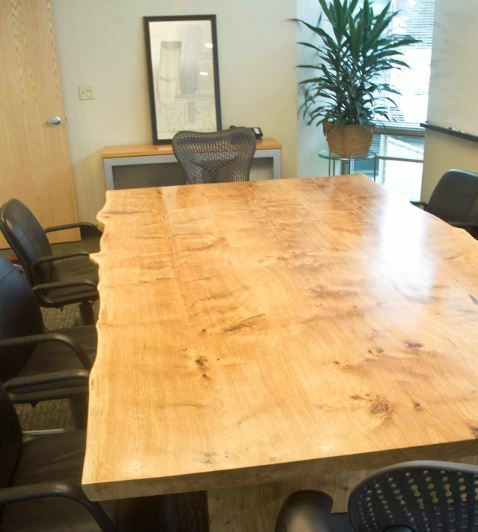 Many of the listed sawyers also manufacture custom furniture and other wood products. Paul Deizman, CF, of the Forest Utilization/Marketing & State Forests of the Illinois DNR, is heading up the updated. The 2016 edition is scheduled to be completed by the end of January. it will be posted at illinoisurbanwood.org and other state forestry web sites. The guide also will be distributed at the Bringing the Urban Forest Full Circle Conference, March 18 at Hamburger University in Oak Brook, IL. Sawyers are encouraged to review their 2011 listing and let Deizman know if any changes are in order or if the listing should be repeated as is for the updated edition. In addition, sawyers not included in the 2011 guide are urged to contact Deizman to have their business and services included. Deizman can be contacted at paul.deizman@illinois.gov or at 217-782-3376. Trees in Trouble tells the story of America’s urban and community forests including their history; growing importance to our health, economy and environment; and the serious threats they now face to the emerald ash borer scourge and other calamities. Saving America’s Urban Forests tells the compelling story of how one community near Cincinnati, OH, confronted their tree crisis and fought the invasive pest by taking action and joining together. Through partnerships with scientists, city officials and everyday citizens, this community was able to fight the pest and protect its urban forests for future generations. The film also explores the rich history of urban forestry in the United States and the exciting new research linking human health and trees. The 27-minute film is directed by Andrea Torrice and is available for purchase or rental at www.bullfrogfilms.com. Reduced rates are available for activist and grassroots groups. Contact Bullfrog Films at 800-543-3764 for more info or visit treesintrouble.com.